It’s almost a certainty that you’ve seen photographs of the incredible Monkey Mia. The water really is that clear, the sand really is that white, and the local wildlife really is that friendly. 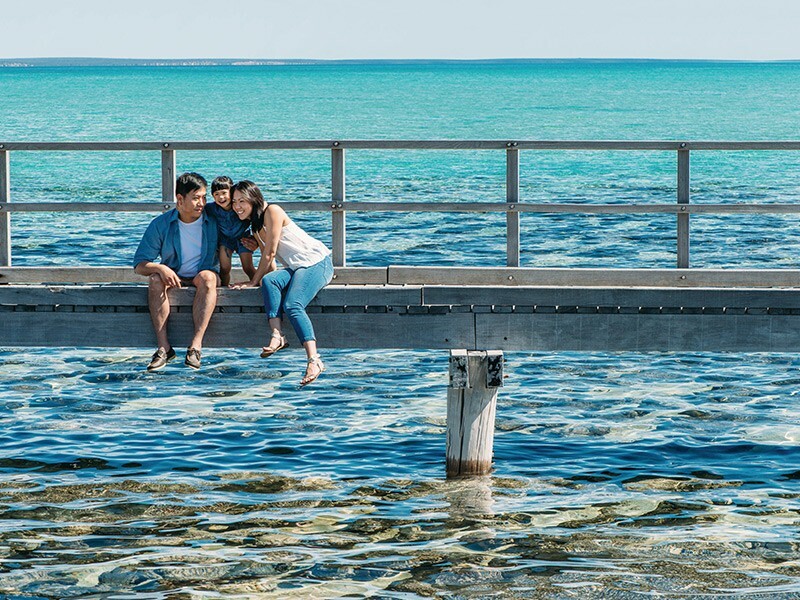 There’s plenty to do in this tiny town located 2 hours north of Perth, especially when you factor in all that lazing around on the beach you’re going to be doing! 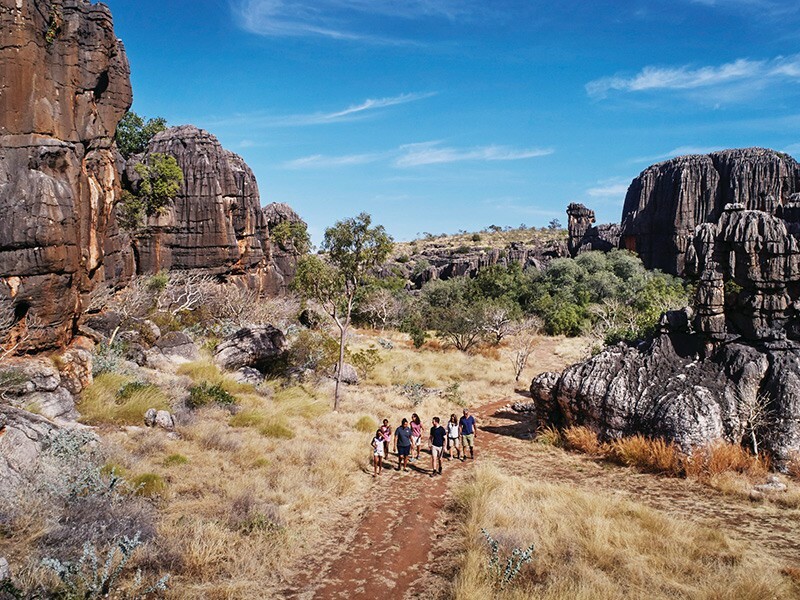 Here’s how we’d spend a week in this Heritage Listed destination. 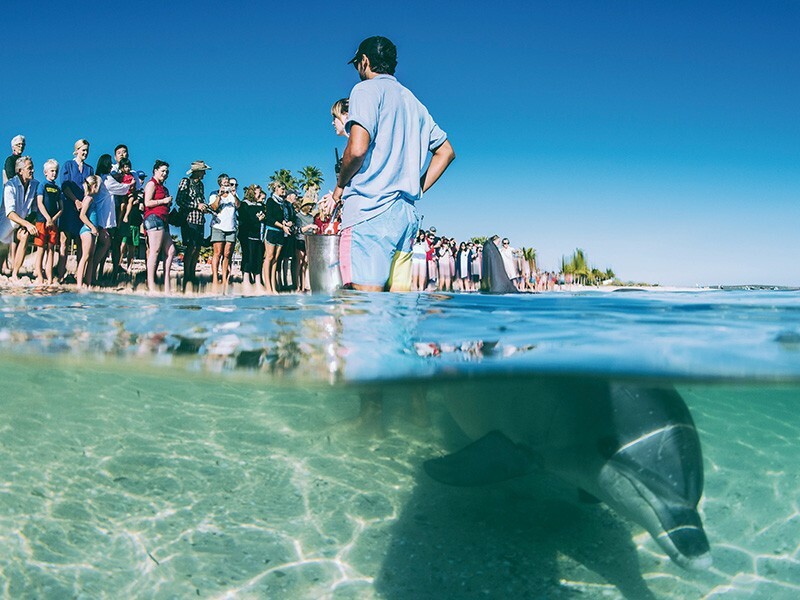 The dolphins have been visiting Monkey Mia for over 40 years and if you’re lucky, you will be able to feed them under the supervision of local rangers. Since the dolphins are wild nothing is guaranteed but they can visit up to three times a day, especially in the morning. 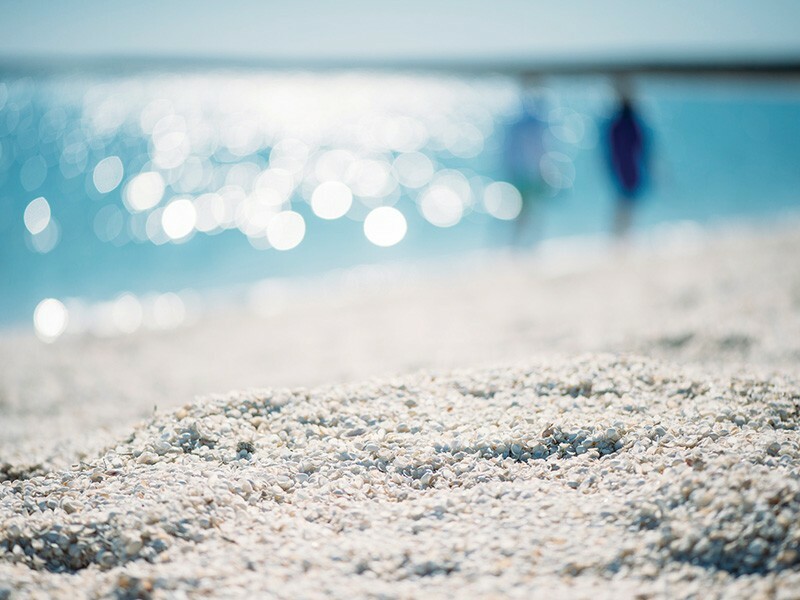 About 50 minutes south of Monkey Mia, Shell Beach lives up to its name. The sand isn’t sand – it’s shells! Shell Beach stretches over 100kms and is the perfect place to marvel at the water and perhaps collect a shell or two. 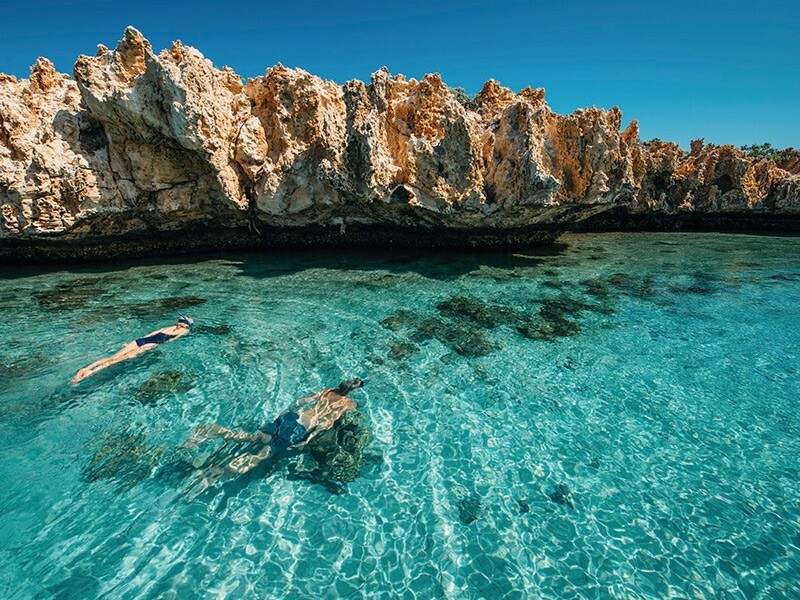 Dirk Hartog Island is Western Australia’s biggest island where you can swim, fish, snorkel and scuba. The cliff face on the island’s west coast is stunning and if you have access to a 4WD, you’ll have plenty of fun hooning over the massive sand dunes and pristine beaches. 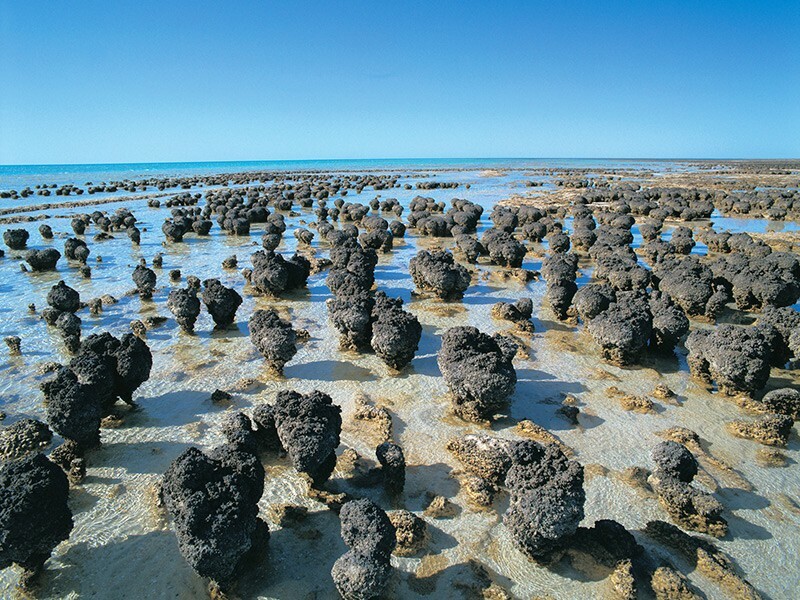 Just half an hour out of Monkey Mia you’ll find the oldest and largest living fossils on earth. The Hamelin Pool Stromatolites can be seen from a custom built walkway and it’s pretty humbling to know you’re looking at something that gives us an indication of what earth looked like 3.7 billion years ago. Visit Shark Bay in summer and you might be able to spot dugongs as they come close to the shore to feed on sea grass. Monkey Mia is the perfect place to gaze up at the stars. With sunshine almost year round, clear skies and temperate climates make it the perfect place to wish upon a shooting star. Discover the history of the Gutharraguda region and learn more about how the Malgana people lived off the land. You’ll learn about traditional medicine, food and just what makes this region so special. Ready to pack your cossie and hop on a plane? Let us help you book an epic Monkey Mia adventure, call us on 1300 783 399.